Now, with the announcement of a run for the Senate, the kid gloves were off. The party split, evidenced by the strong support she received from the Watertown Daily Times and the virulent attacks emanating from Ogdensburg, especially in the Republican-Journal, when Rhoda’s opening salvo went right to the heart of the matter. That deal, of course, guaranteed continued widespread support for US Congressman Bert Snell and State Senator Warren T. Thayer (of Franklin County), the latter of whom was Rhoda’s direct opponent. But it was clear that by challenging Thayer, she was also challenging Snell’s influence as the de facto leader of regional GOP members, which numbered about 18,000 in St. Lawrence County and 11,000 in Franklin County. Rumblings of discontent were heard, but the initial party response to her announcement was somewhat restrained, mostly because she was expected to lose, and lose badly. But that position failed to account for her immense popularity among the voters, despite the occasional flaunting of party rules and practices. Her battles in the halls of Albany on behalf of the people versus corporations resonated among them, but annoyed party leaders. She began making inroads in Ogdensburg when media coverage mentioned her push for public ownership of utilities, which was the case in Prescott, Ontario, on the opposite shore of the St. Lawrence. In Prescott, 500 kilowatts cost a customer just $7, while in Ogdensburg, citizens paid $45 for the same amount of electricity because utilities were privately owned, and the principal goal of those companies was financial profit. 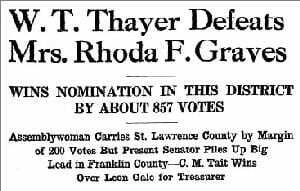 A week later, the Republican-Journal ran the following headline: Guardian of State Finances in Albany Declares Mrs. Graves, After Years in Assembly, Has Proven Total Failure — Says Thayer’s Influence Big Asset to Northern New York. 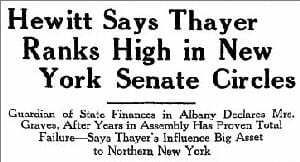 Referring to comments made by Senator Charles Hewitt, chairman of the Senate Finance Committee, the paper said that Thayer’s record “so far surpasses” Graves that “a comparison … would be laughable.” Thayer, said Hewitt, had built friendships necessary to passing legislation, but “Mrs. Graves’ attitude in the Assembly has been such that her own colleagues in the Republican delegation can not seem to work with her.” With such a poor record, her pursuit of a Senate seat “puzzles me,” he said. For her part, Rhoda seized on two main issues: fighting for low electric rates, even while Senator Thayer enjoyed a suspiciously cozy relationship with power companies; and her unwavering support of New York’s farmers. She also continued to reject the gentlemen’s agreement as especially unfair to women, who had recently gained the right to vote. What good was suffrage when the options themselves were dictated by draconian restrictions imposed (by men) on the nominating process? 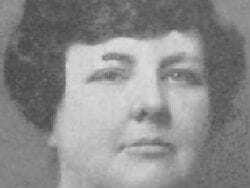 Countering the attacks on Rhoda were supportive comments from many prominent Republicans, which, in combination with her longstanding popularity, helped her carry St. Lawrence County, but only by about 300 votes. She lost in Canton, Massena, and Potsdam, but won big in rural areas. 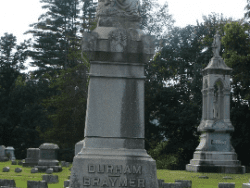 However, it wasn’t enough to counter heavy losses in Ogdensburg and in Thayer’s base, Franklin County, where she did reasonably well among farmers. Overall, she fell short in the primary by fewer than 1,000 votes, ensuring Thayer’s return to Albany. Without legislative duties in 1933, Rhoda was busy in other areas, having risen to become a New York State Director of the DAR. But while many dismissed her as political poison after a failed coup attempt of the regional GOP, a comeback was already in the planning stages. 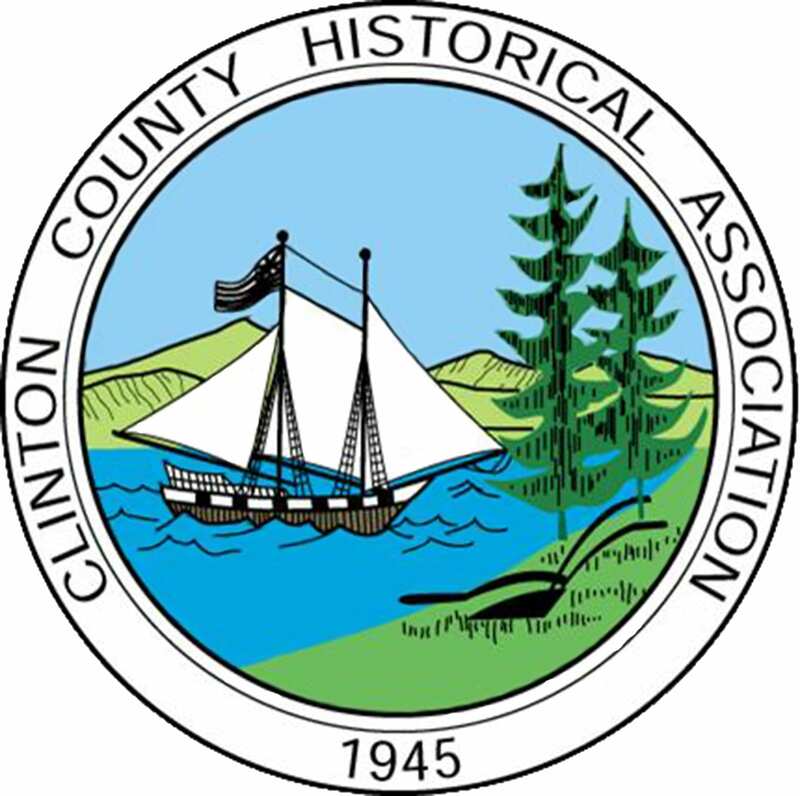 In November, her letter in the Albany Evening News proposed as a candidate for governor her good friend, solid supporter, and editor of the Watertown Daily Times, Harold B. Johnson. “The political bosses would be against him,” she wrote, “but why worry? They are being thrown into the discard. The people are coming into their own. It’s about time.” What surprised many were her bold comments in the letter about the party she had supported for nearly two decades. 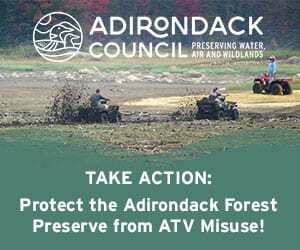 “I have always said that the key to the almost complete annihilation of the Republican Party in New York is to be found right here in our own North Country.” Within that statement, discerning readers may have detected a portent of what was to come. Senator Thayer would soon regret earlier statements welcoming any type of investigation into his past. While some party members were privy to behind-the-scenes developments, most GOP members were stunned in late March 1934 when Thayer was charged by the Federal Trade Commission with corruption on behalf of the Associated Gas and Electric Company. He denied all wrongdoing, and his supporters among North Country media stuck by him to the end — which really meant they continued living in denial. He resigned before the Senate could convict him in person, saying he did so to save his colleagues the embarrassment of voting on his fate. But the question was posed: why would a vote be embarrassing if he were innocent as claimed? Further investigation, he said, would reveal an unsullied record. But none of that was true. In a special session eight days after he resigned, the Senate unanimously voted him guilty of official misconduct. Had Thayer still been in office, he would have been removed. Rhoda, it was proven, had been right all along. Next week, the conclusion: following her own path to victory. 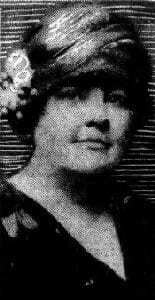 Photos: Rhoda Fox Graves, Elmira Star-Gazette (1929); headlines, Ogdensburg Republican-Journal (1932); headlines, Massena Observer (1932); headline, Ogdensburg Republican-Journal (1932); headline, Ogdensburg Advance-News (1934).